In 1972 Idi Amin, the President of Uganda at the time, gave the Asian population living in Uganda 90 days to leave the country. Many of these people had UK citizenship due to links to the British Empire and 27,200 people subsequently emigrated to the United Kingdom. 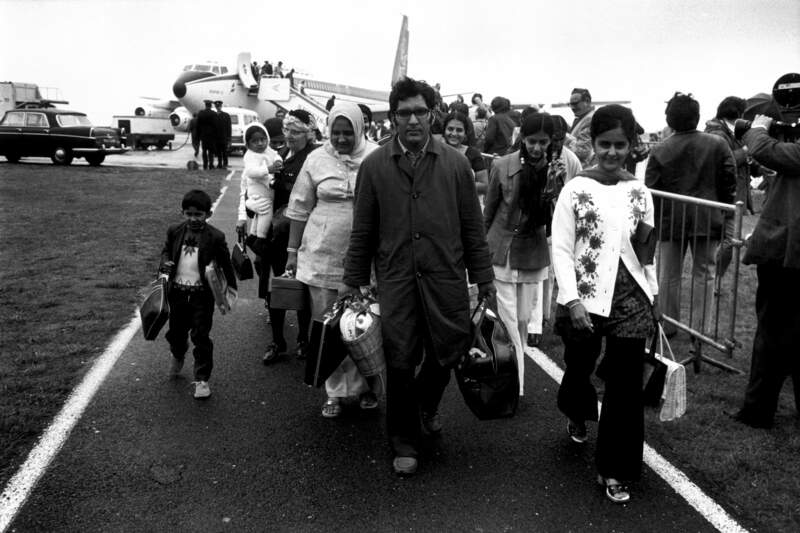 This photo depicts Asian people expelled from Uganda arriving at Heathrow Airport, London, in 1972 after having their possessions seized by General Amin’s soldiers and officials. Many of them arrived penniless.